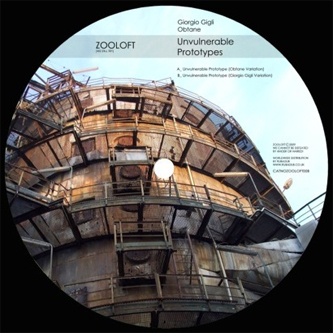 Giorgio Gigli and Obtane contstruct complementary dark techno remixes of each other for the latest Zooloft excursion. 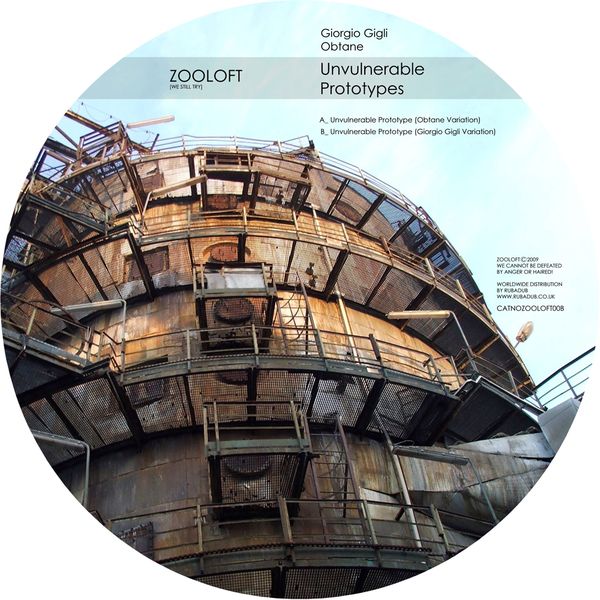 Both tracks recall the barren scapes of the Sandwell District imprint or maybe Traversable Wormhole's technoid sonic fictions, with Obtane's mix of 'Unvulnerable Prototype' arranging dry rhythms and eerie post-apocalyptic atmospherics, while Gigli's mix intensifies the mood with even more gloomy vibes. Perfect for yer saturday night bosh session, then!